Well, yes, I'm crushed. I was getting close to the security gate when I heard on the radio that the launch of Discovery had been postponed. I still drove in to the press center to wait for details. There was a great deal of disappointment all around, but the saddest people were over at the Twitter tent. I didn't see any actual tears, but I'm sure they were there. 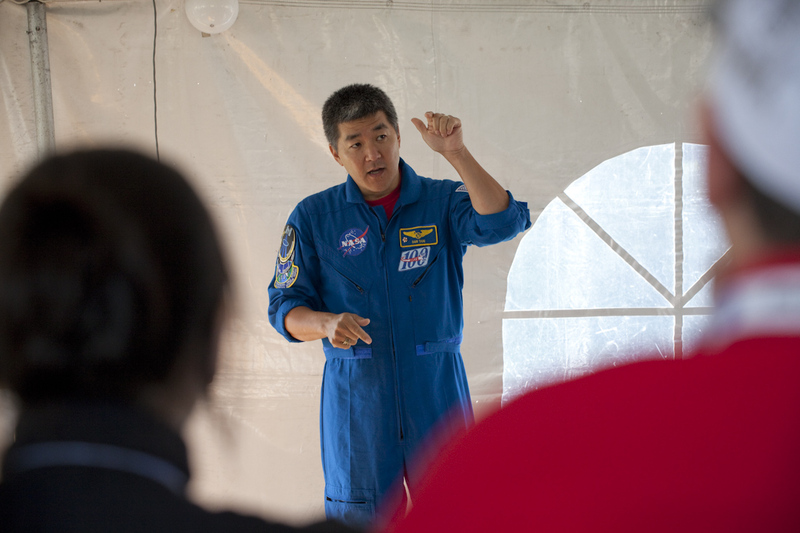 To console the group, NASA had astronaut Dan Tani stop by to talk to the group and answer questions. 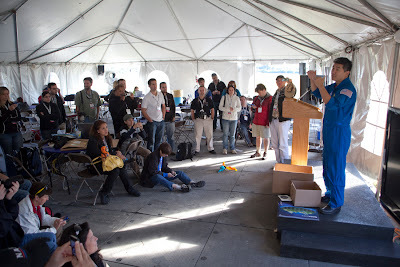 The Tweetup crowd had seriously dwindled after the days of endless delays. But the ones that remained still enjoyed the visit. 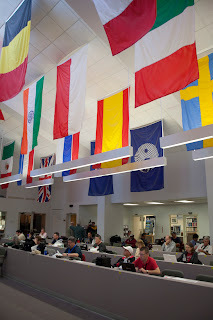 The mood in the NASA press center wasn't much happier. They were still going to try for Monday. In which case I would miss the launch altogether. 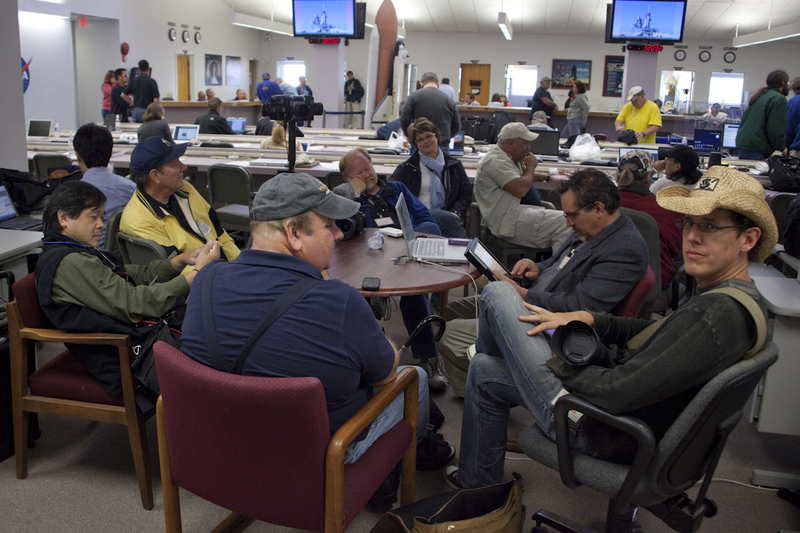 This is the Lightspeed Media Team in the back of the press room as we sat and contemplated our next move. We thought that we might get quick clearance to run out to the launch pad and service the cameras. We didn't get cleared, so we decided to head to Port Canaveral for lunch. As we arrived we learned that the mission has been officially pushed back to Nov 30th. And I am absolutely thrilled! Because as it stands right now I have some free days from the 30th - 5th. So I'll get one more shot to photograph from on top of the VAB. Right now I am packing up my gear and heading to the airport! Other members of the team are going out to KSC now to grab all the cameras and gear. Stay tuned... I'll have more soon.